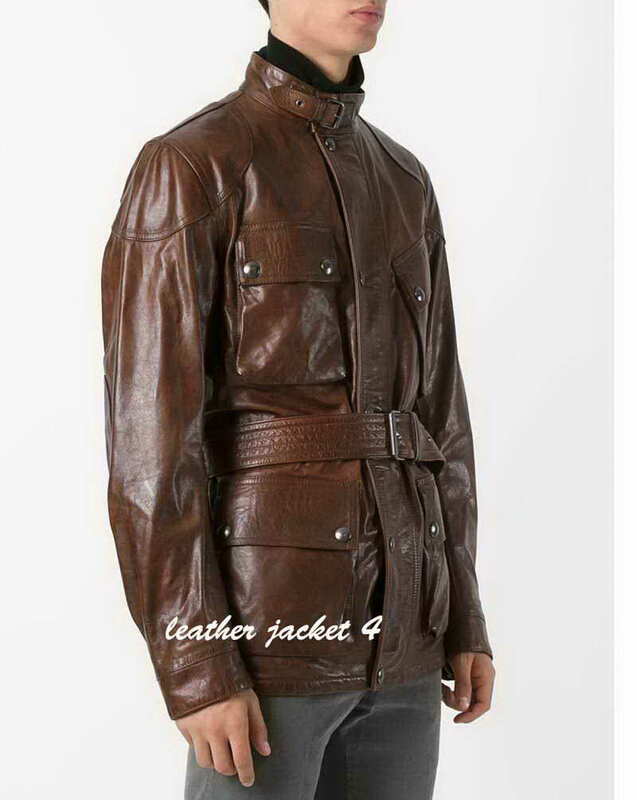 • Front: Standup buckle collar, zipper closure with snap button flapper. • Pockets: Four large snap button pockets. 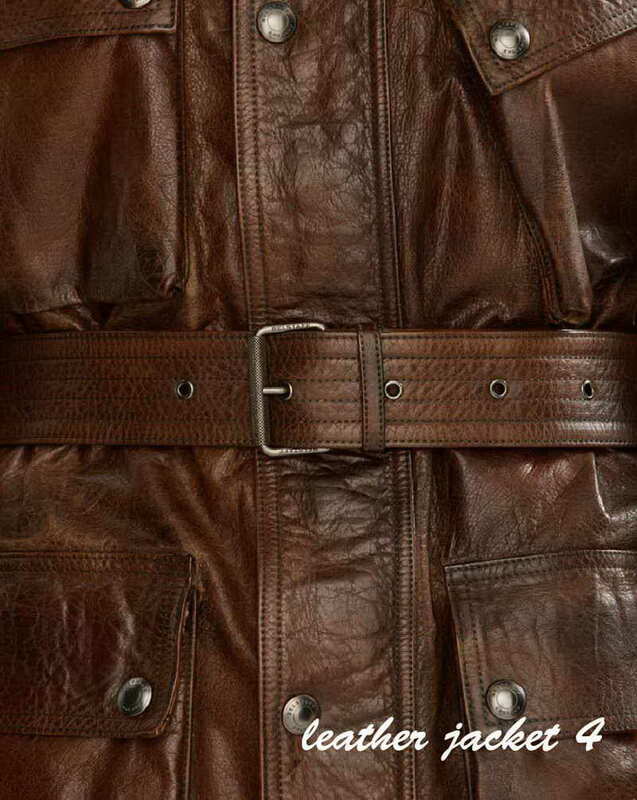 • Adjustable belt on waist. • Sleeves: Full in length with snap-tab button. • Adjustable buckle tabs at hips. • Fully lined interior; 100% satin quilted body lining and sleeve lining. 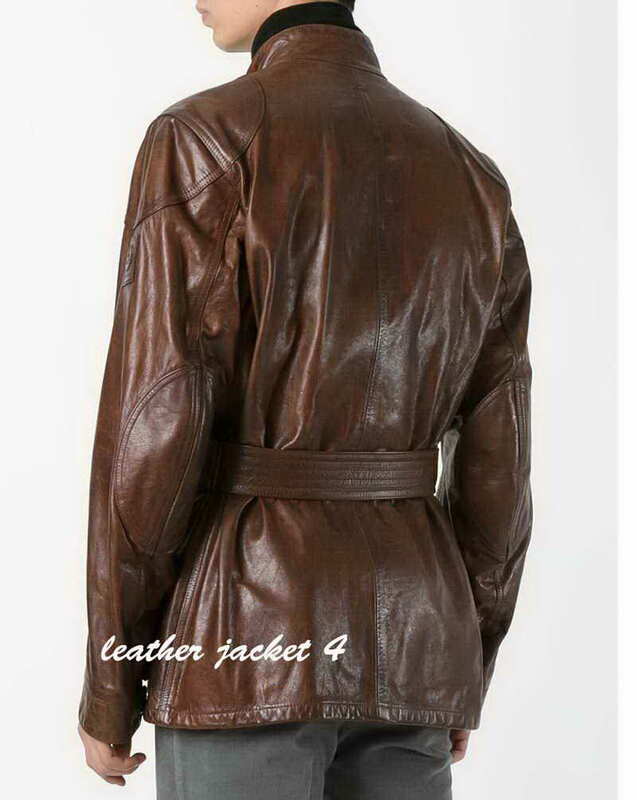 This Leather Jacket is inspired replica of the one worn by Brad Pitt in the movie The Curious Case Of Benjamin Button; made Using Pure Cow distress Leather. 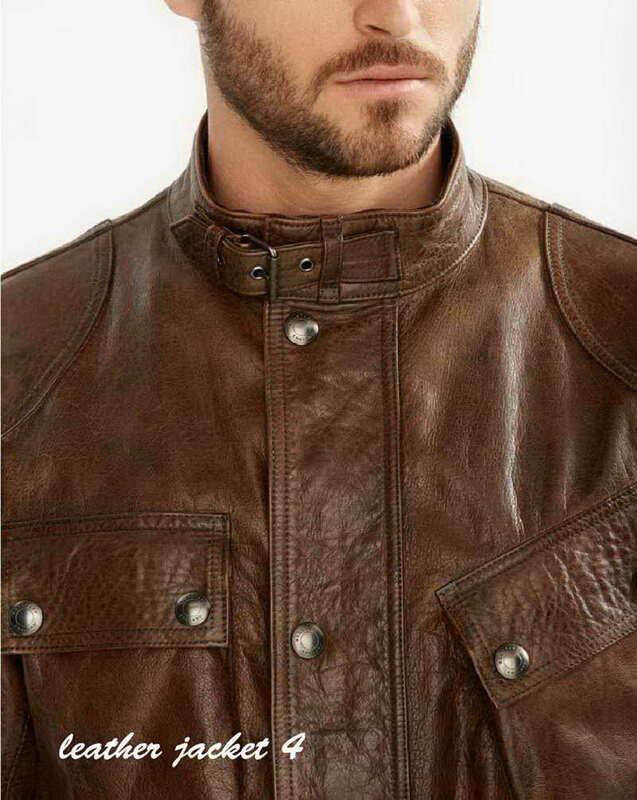 Make a great impression with our Super Stylish leather jackets, perfect with Khakis or Jeans. Brad Pitt has released numerous well-known films in his career. One of his movies was "The Curious Case of Benjamin Button" in which he wore an amazing Brad Pitt Jacket. 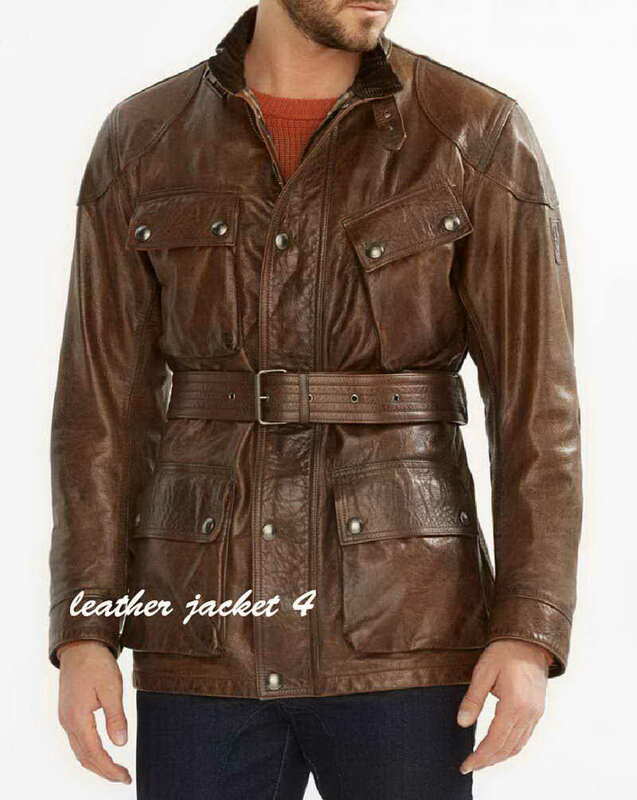 We have prepared that same style jacket for you from excellent and high quality leather. It is very precisely prepared with the original outfit of the movie in mind. 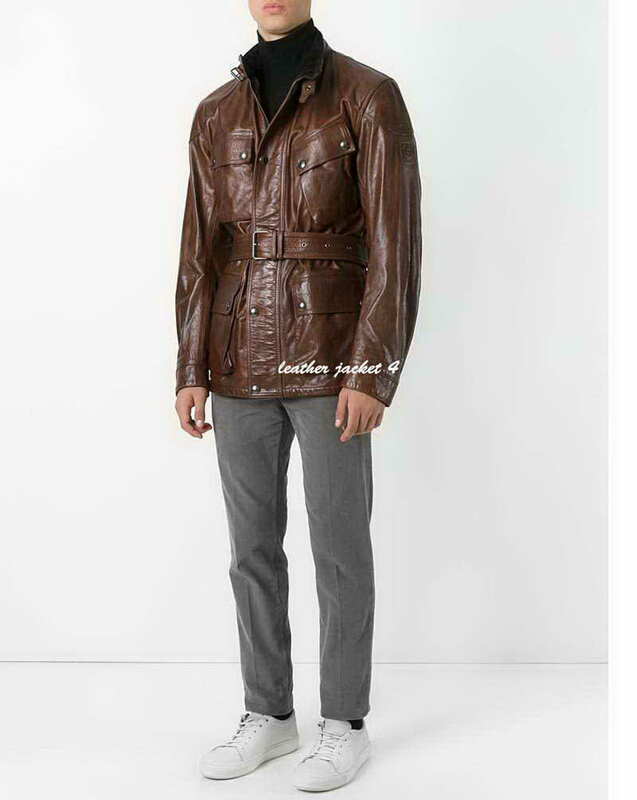 This The Curious Case of Benjamin Button Jacket has a front zip closure and also houses tab button over it to give you a high class look. 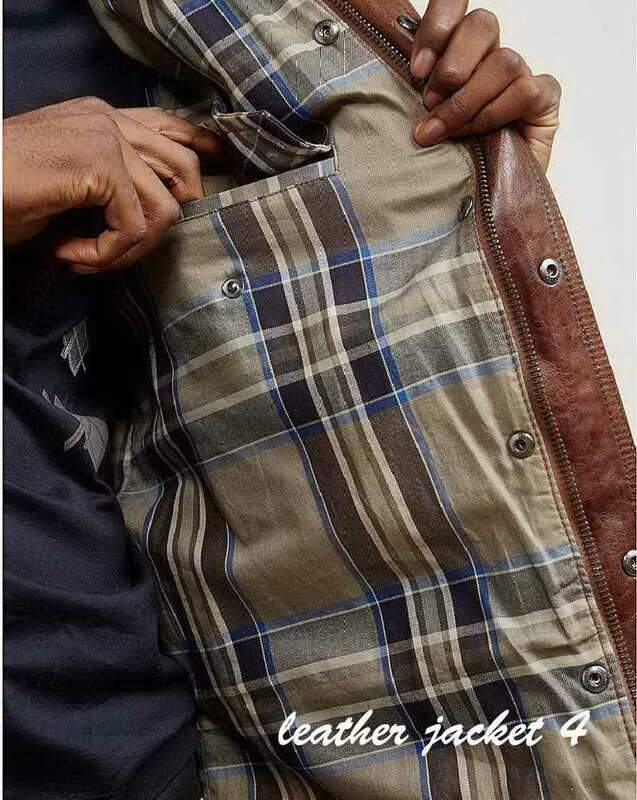 It has four buttoned pockets that you can use to keep all kinds of your stuff. 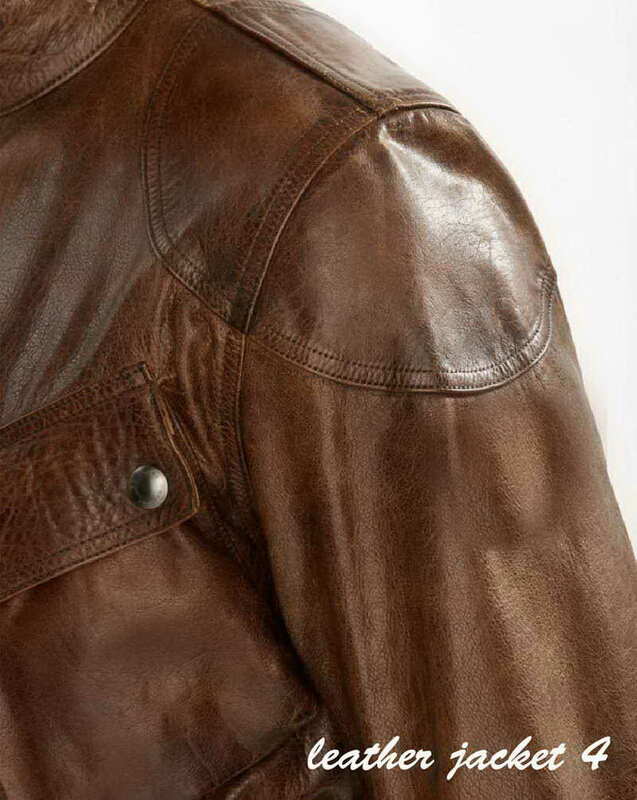 The belted mid waist adjustment allows all wearers to enjoy a comfortable fitting in this wonderful Brad Pitt leather Jacket.